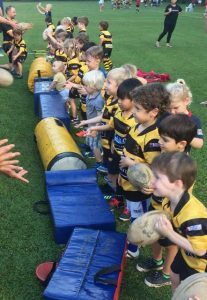 “The best things about playing rugby are team work, friendship, learning how to win and lose, exercise, competition.” U8 coaches. Many of the coaches in this age group have been working with the kids for a long while and it is really rewarding watching them grow up and seeing their skills and enthusiasm develop. We also welcome new players every term. 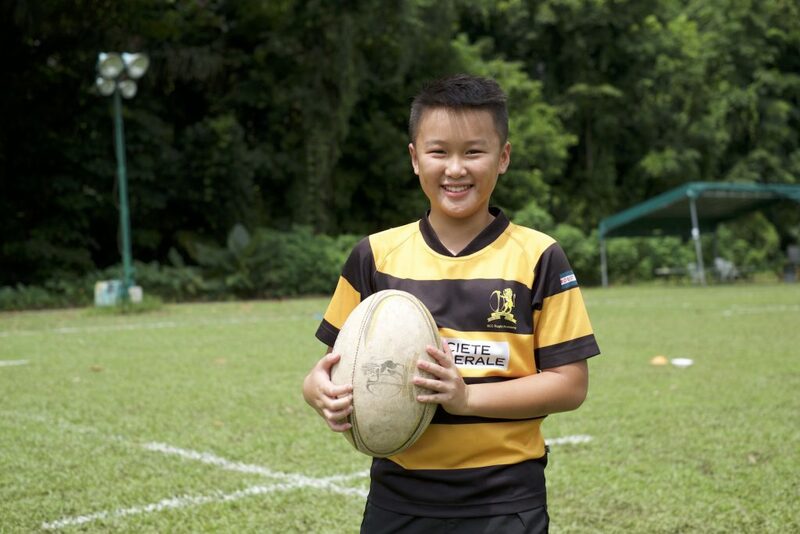 The parents are also a great bunch who are very supportive and always happy to get involved when they can. As the kids have got a little older they are far more congratulatory of others who receive trophies as opposed to the meltdowns we would get a few years ago. Of course, they love getting a trophy of their own too! 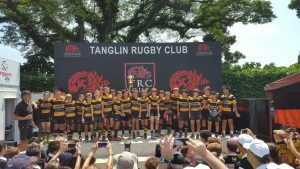 The tournaments, like KL or the Singapore based ones or our very own SCC Academy 7s tournament on the Padang, are fantastic and the kids are always asking how many more sleep nights till the next tournament!